This study evaluates the role of obesity, overweight and vitamin D deficiency in primary headaches in childhood. 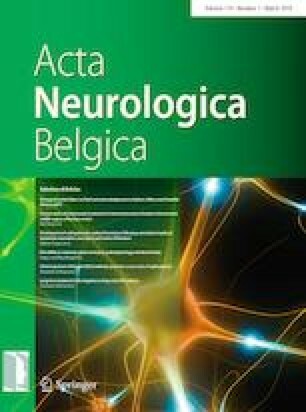 This retrospective observational study included pediatric patients aged 5–17 years admitted to the pediatric neurology clinic with headaches between January 2015 and August 2018 and diagnosed with primary headache based on ICHD III-beta criteria. The control group consisted of healthy children without headache admitted to the pediatric outpatient clinic for check-ups before engaging in athletic or school activities. The control and patient groups were at the same risk of low 25(OH)D3 levels. The study population was divided into three groups—patients with migraine (group A), patients with tension-type headache (TTH) (group B) and the control group (group C). Participants’ demographic data, medical histories, physical examination findings and laboratory results were retrieved retrospectively from the patient charts. BMI was significantly higher in patients with primary headache, the risk of primary headache increasing in patients with a BMI in excess of 25. Comparison of the patients with primary headache and the control group revealed lower 25(OH)D levels in the primary headache group, although the difference was not statistically significant. Girls with primary headache had significantly lower 25(OH)D levels than boys. A relationship may be present between overweight, obesity and primary headache, while female gender may be suggested as a negative factor for primary headache. Patients should be advised to lose weight if BMI indicates overweight or obesity. The work performed at Child Neurology Department of Bolu Abant Izzet Baysal University, Turkey. Ethics committee approval for the study was obtained from Bolu Abant Izzet Baysal University Clinical Research Ethics Committee (No. 2018/129).